A common challenge we face as military spouses is unemployment. I write about this topic a lot because, not only is it something I feel very passionately toward, but also because the issue is so widespread. In fact, so many milspouses fight to maintain employment throughout their spouse’s career that numerous organizations have been created to step in and help. One of these organizations is the Milspo Project. Here’s what you need to know about The Milspo Project. 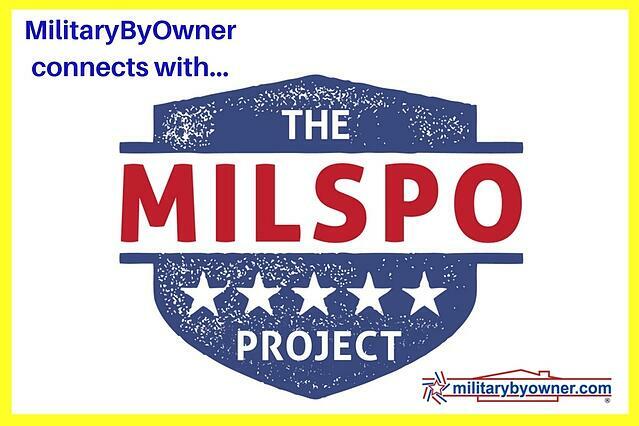 The Milspo Project is a global network of U.S. military spouses who believe entrepreneurship is a unique answer to the military spouse unemployment crisis in our country. Together, milspouses embrace the unpredictability of this beautiful thing called military life and redefine what it means to be a successful milspouse professional in today’s world. The Milspo Project runs on memberships. Once you become a member, you gain access to workshops, networking, development, events, book clubs, and meetups. Milspo Chapters are located all over the country and are designed to bring members together. These chapters meet once a month to set goals, learn about business, and strengthen leadership muscles. The Milspo Project works because it creates accountability, encouragement, and growth. We know all too well how easy it is to excuse our shortcomings. We convince ourselves that we tried our best, and we move on. Perhaps we even lower our standards so that, next time, we know we can achieve them. The Milspo Project provides the kind of accountability you need as an entrepreneur to meet even your most ambitious goals. Growth. The Milspo Project provides members the opportunity to connect with spouses worldwide. Board member and chapter leader Erin says, “There is a direct correlation of business success when people really participate in their chapters.” In fact, one spouse told me that she joined the Milspo Project at the point her business was crashing. She believes the resources and support her group gave her became a catalyst to take her business from burning to thriving. You’re not alone, friends! Every one of us faces the challenge of employment as a military spouse. If you are the entrepreneurial type, join the Milspo Project and find the accountability, encouragement, and growth you need!